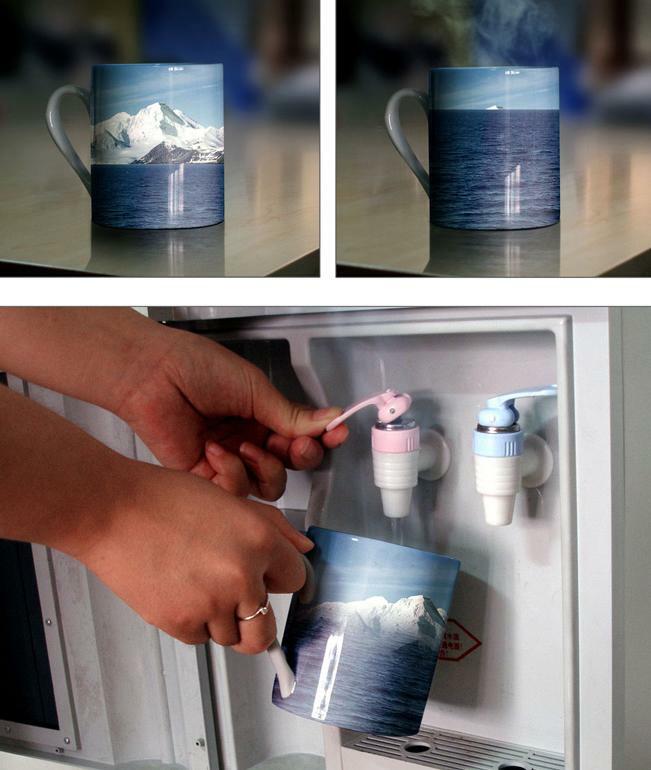 Collection of 'Creative and Cool Cup Based Advertisements' from all over the world. Mömax Furniture Store Cup Advertisement: Customers of Mömax furniture store received jewellery boxes; upon opening them they saw golden engagement rings. When they tried to take them out, they realized that they were actually the handles of a specially built coffee cup with a printed message informing them about the Mömax wedding list. 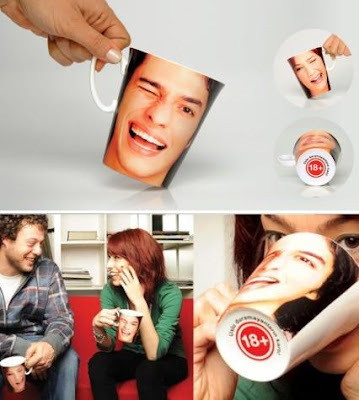 Fortis Bank Cup Advertisement: To promote its 18 plus credit card program, coffee cup handles that were transformed to look like human ears were distributed in different university cafeterias in Turkey with the message 'Credit card of those who cant sit still…..'. Eskom Cup Advertisement: To conserve electricity these cups were distributed to canteens nationwide; when heated beverages were poured into the cups the black fades to white displaying the message. 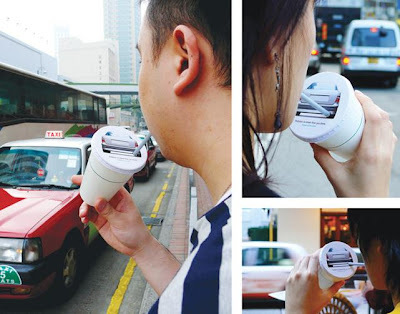 Cup Advertisement - 1: These cups come printed with a second layer of heat sensitive ink that becomes visible when a heated beverage is poured in it. 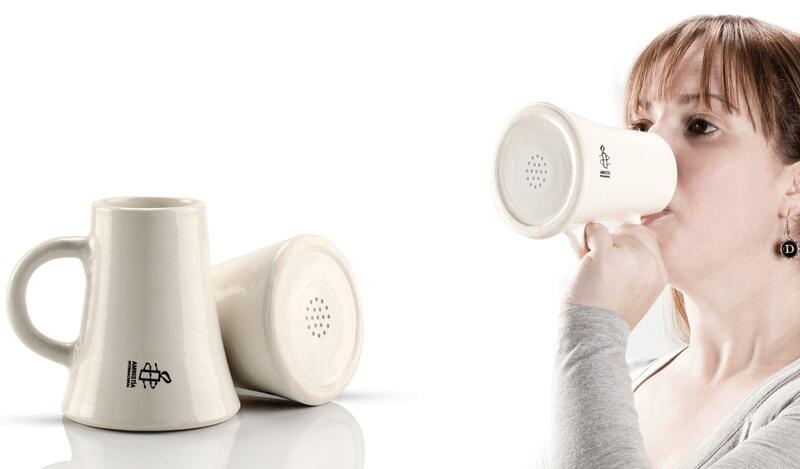 Megaphone Cup Advertisement: A simple and powerful design that represents the action of raising one's voice when one drinks from this cup. Cup Advertisement - 2: These cups come with the world map printed with heat sensitive ink and when heated beverages were poured into the cups the paint changes the color sending the message across effectively. 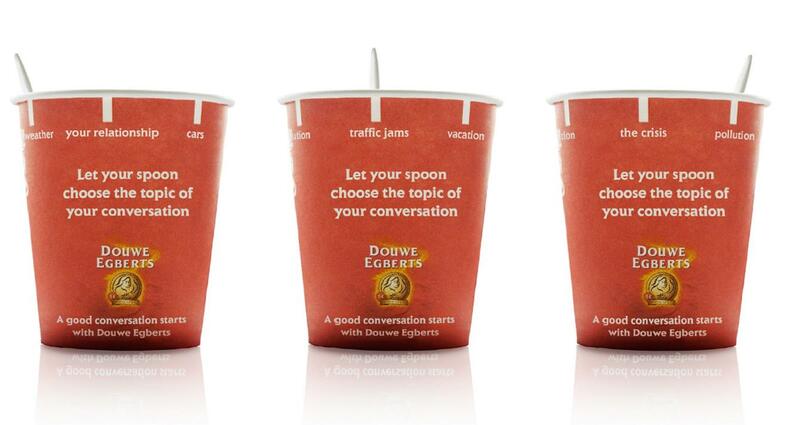 Natura Cup Advertisement: Based on the concept that its easier to avoid calories than to use them, and to promote its product as a smart alternative to sugar, Natura created this cup advertisement. 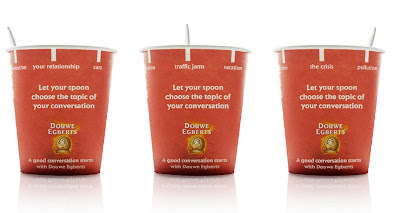 The cup had the message which meant to use the calories from two teaspoons of sugar one needs to do 360 minutes of ballet dancing that involves spinning around on one foot which will be even more difficult than reading this message or simply use their product that contains zero calories to avoid the trouble altogether. 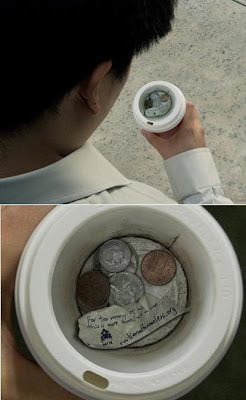 Coffee Cup Advertisement: A message was placed in the cups that allowed the viewers to get a closer look and a better understanding of the lives of needy individuals. 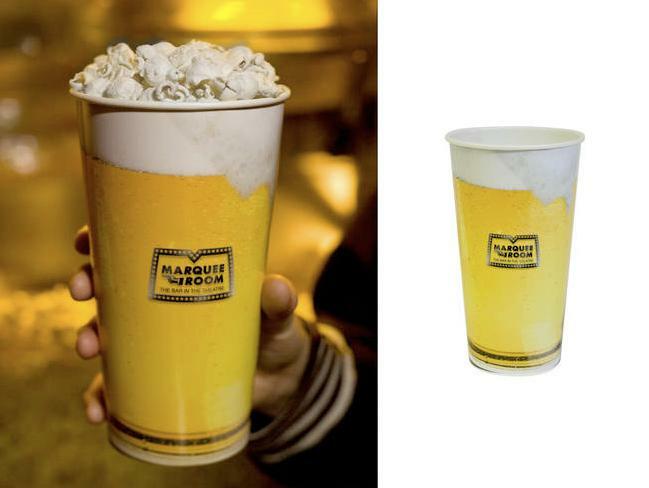 Marquee Room's Popcorn Cup Advertisement: Grownups usually come to The Uptown Independent theatre but never go to the Marquee Room in the same building. 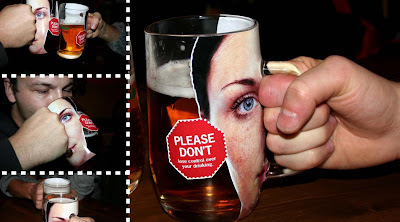 These special popcorn cups from the theatre concession reminded them of the delicious beverage they are missing. 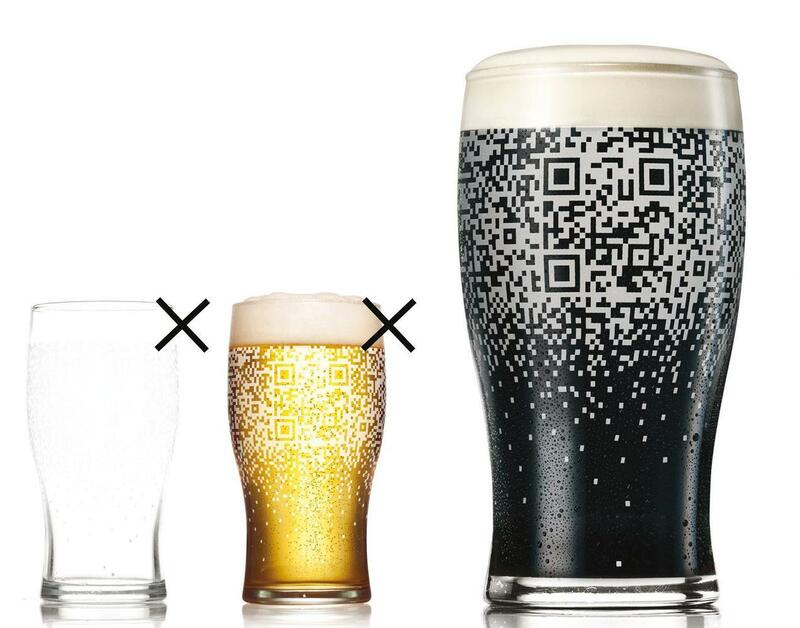 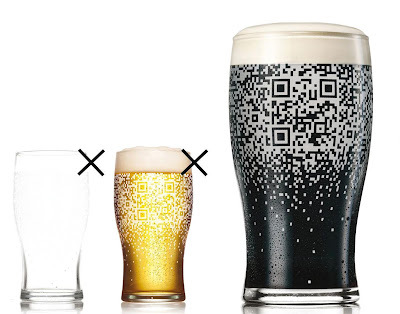 QR Code Cup Advertisement: When the QR cup was filled with beverage it displayed a QR-code. Inhale Cup Advertisement: To send the message across, the image of the back of the car was printed on the covers while the straws were placed in place of the exhaust pipes; and were distributed to road-side food stalls. 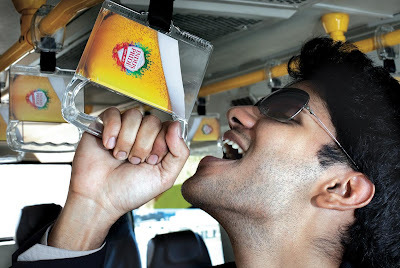 Indus Pride Cup Advertisement: To promote its new product as a refresher and thirst quencher, the handles of airport transit buses were transformed into cups. 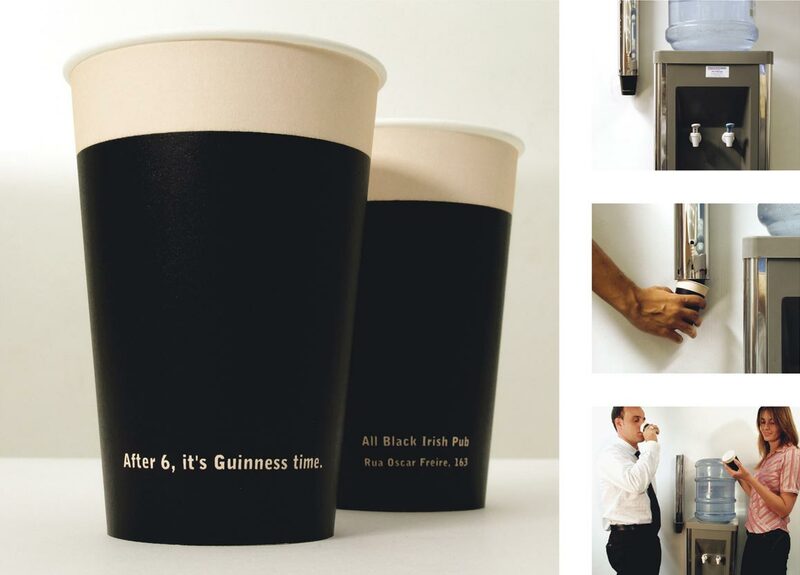 B.B Cup Advertisement: These cups were redesigned with a message for the customers of B.B to be civilized after drinking.